Winding through the verdant countryside of the western winelands, the Helderberg Wine Route consists of several historic manors that date to the 16th and 17th centuries. 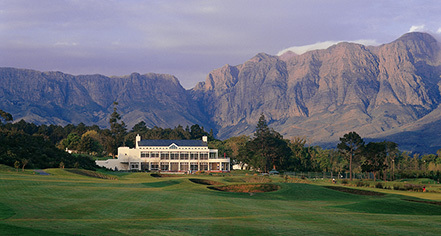 Among the most noteworthy of the route’s estates are Vergelegen, Lourensford, and Morgenster. These impressive manors are now world-renowned vineyards that guests may visit today. A popular destination in Cape Town, the Victoria & Alfred Waterfront is home to some of the best shopping in all of South Africa. The neighborhood features over 400 upscale storefronts that cover products ranging from designer fashion to jewelry. Several of the city’s most celebrated landmarks are situated within the Victoria & Alfred Waterfront, such as the Two Oceans Aquarium and the Nelson Mandela Gateway to Robben Island. Originally established in the 1700s, Bo-Kaap is known for its brightly colored homes and cobble-stoned streets. But the neighborhood is also one of Cape Town’s most culturally vibrant, as it traces its linage back to the city’s population of emancipated slaves. Visitors today can travel to Bo-Kaap and experience this rich heritage for themselves. The imposing Castle of Good Hope once served as the center of power for the Dutch East India Company when it governed Cape Town during the 17th century. A large bastion fort, the Castle of Good Hope remained in active use for the next 400 years. It is among the best surviving relics of Cape Town’s colonial past. Cape Point is a stunning mountain range near Cape Town that extends along the South African coastline for some thirty kilometers. This geographic feature constitutes the extreme southwestern point of the entire continent. At Cape Point, guests can travel to some of the country’s most renowned natural landmarks, such as the iconic Cape of Good Hope. A designated UNESCO World Heritage Site, the Cape Floristic Region is celebrated for the uniformity of its ecosystem. The area is protected due to its status as a “floral kingdom”—an isolated region of beautiful vegetation that has grown undisturbed for millennia. 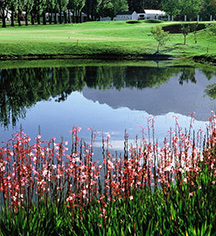 The Cape Floristic Region is one of just six such “floral kingdoms” to exist in the world. The Table Mountain National Park is a massive nature preservation that extends down from Cape Town to the Cape of Good Hope. Part of the Cape Floral Region UNESCO World Heritage Site, the Table Mountain National Park attracts numerous outdoor enthusiasts every year. Its most recognizable landmark is the flat-topped Table Mountain, which is a great place for hiking and sightseeing. Founded in 1913, the Kirstenbosch National Botanical Gardens are situated at the eastern portion of Table Mountain in the Cape Floristic Region UNESCO World Heritage Site. The complex is host to over 7,000 different indigenous species of plants from across South Africa. Guests should certainly not miss witnessing the natural beauty of the gardens. Part of Table Mountain National Park, Boulders Beach is home to a colony of incredibly rare African penguins. With only a few thousand left in existence, these magnificent birds are a special sight to behold. Boulders Beach is the only place in South Africa where guests can see this endangered species.